Traditionally referred to as a “ton” bag, our builders bag is generously packed to above the brim of the sack. Because of this, they are excellent value for money. 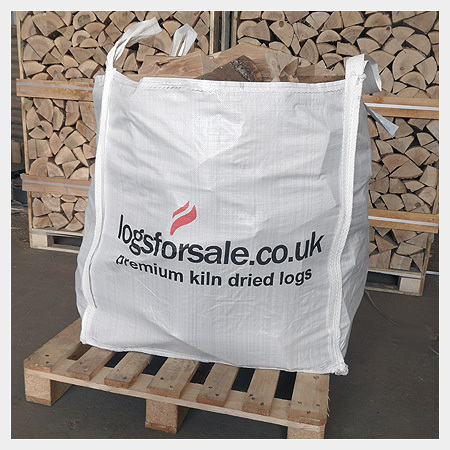 Stack some beside your log burner and the rest in your log store; or simply keep the full bag in your garage in the knowledge the best quality firewood is there for when you need it. Important Delivery Information: Delivery is performed kerbside by a nationwide pallet courier using a large tail-lift vehicle and pallet trolley. Please read our delivery section to ensure you understand the limitations and your responsibilities before placing your order.